In search of her loved ones, Catharine had been to Sacket’s Harbor in Jefferson County, New York—the site of two battles in the War of 1812 and the location of an important shipyard for building warships. Nothing. She found no information about them at Sacket’s Harbor. So Catharine pressed on in her search for her missing family, going next to Plattsburgh, New York, the site of the decisive Battle of Plattsburgh on Lake Champlain that was fought in 1814. 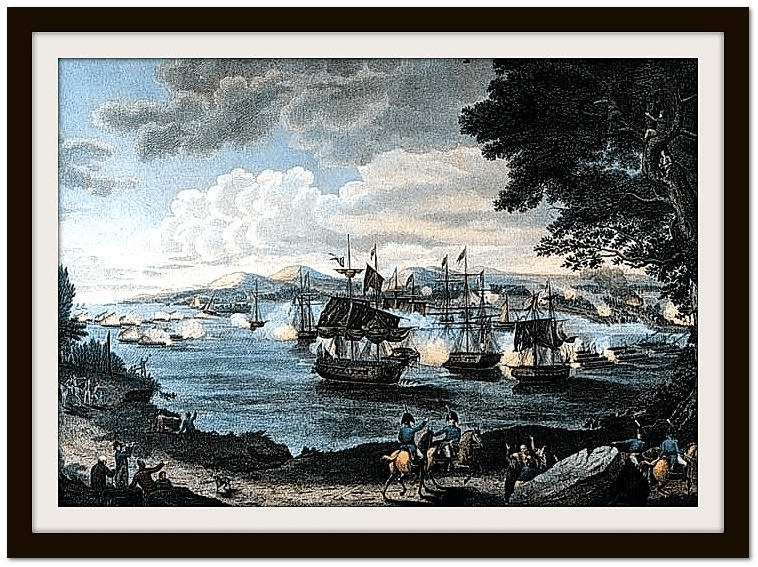 Illustration: Naval Battle on Lake Champlain, by B. Tanner, 1816. Credit: Wikipedia. Still she found no information about either her husband or son. Newspapers carried the news back in the 1800s. 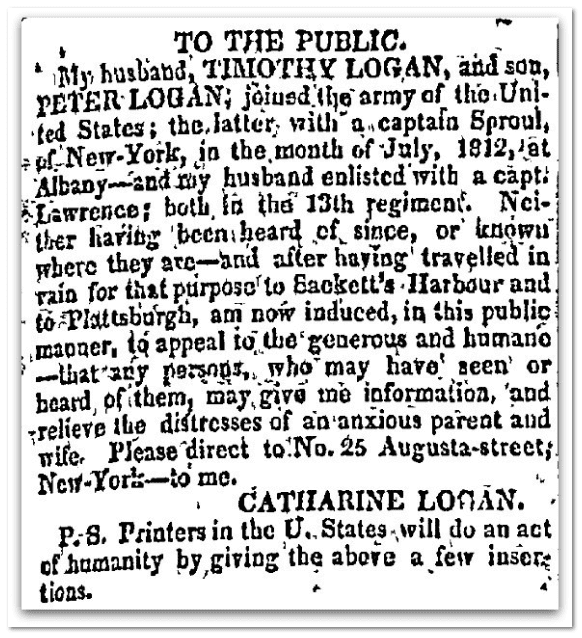 Newspaper editors up and down the United States East Coast took compassion on Catharine Logan and spread the word about her search for her missing husband and son. You can find great stories about your ancestors in letters to the editor, missing person ads, and other articles found old newspapers. These articles offer stories that bring the names and dates on your family tree alive and let you get to know them as real people. Did Catherine ever reunite with her long-lost husband and son? What happened to Timothy and Peter Logan, and where did they go? Disappointed that the story had no ending. You know Theresa, I have never found more information about them. I issued a “Genealogist Challenge” … “Did Catherine ever reunite with her long-lost husband and son? What happened to Timothy and Peter Logan, and where did they go?” – and it appears that no one else has found the answer either. Like you – I’d like to know how their story ended.